Engine type Ôºö Single cylinder,4-stroke, compulsory air cooled. The Coolster QG214FC comes with black frame and swing arm on new shipment. Coolster QG214FC is equipped with an industry standard 4-Speed Manual Transmission (1 down - neutral - 3 up), which is much better than the rotary type transmission and keeps the rider in full control of the Dirt Bike. The upgraded kick start on the Dirt Bike makes for quicker and simpler starting. 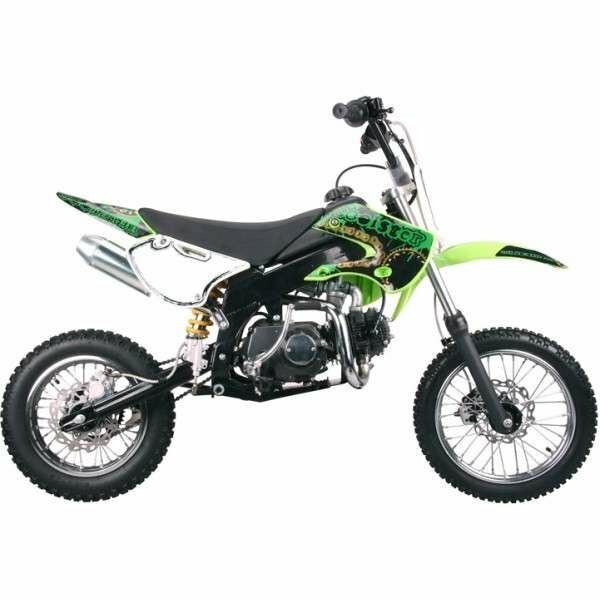 Check out this Coolster QG-214FC Dirt Bike Video below. Coolster 214FC 125CC Dirt Bike - WWW.BIKE.CC from Bike.cc on Vimeo.